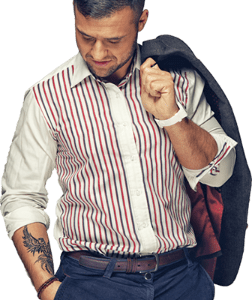 Are you looking for a new job, but are worried that employers won’t take you seriously with your tribal armband tattoo? 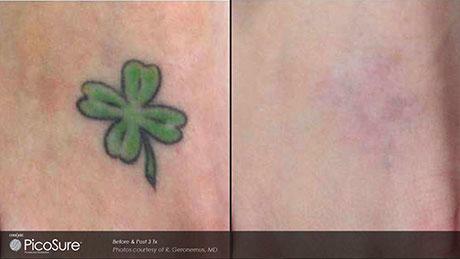 With PicoSure’s advanced laser technology,, removing unwanted tattoos is fast and safe. Some tattoos can be completely removed in as few as three sessions without harming your skin. 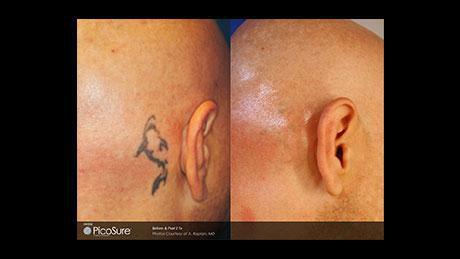 PicoSure represents a major technological advancement over obsolete Q-switched Nd: YAG lasers. 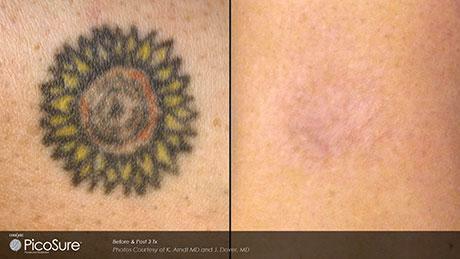 PicoSure uses a picosecond laser to remove almost all tattoos. PicoSure’s powerful laser light pulses shatter underlying tattoo inks into microscopic particles that the immune system can naturally eliminate from the body. 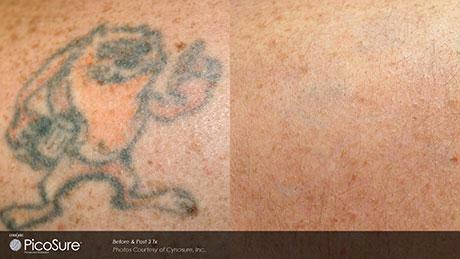 Even colored tattoo inks, including notoriously stubborn blues, greens, and very dark lines, can be removed. 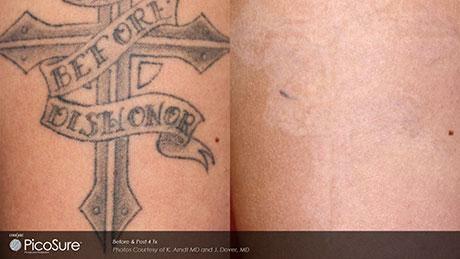 Laser tattoo removal is safe and will not permanently damage your skin. The average tattoo will require four to six appointments to remove. However, the exact number of sessions will depend on each tattoo’s size and age. The procedure feels similar to getting a tattoo, but for a much shorter duration. A cooling anesthetic can also be provided to alleviate discomfort. PicoSure laser tattoo removal has few side effects, which normally include some temporary skin whitening and a sunburn-like sensation. Most people are able to resume their normal activities immediately following treatment without experiencing any downtime. You don’t have to live with your unwanted tattoo! 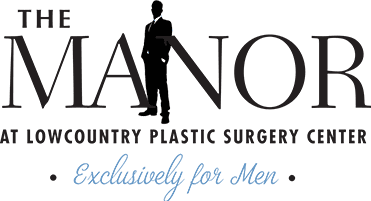 Contact The Manor at Lowcountry Plastic Surgery Center today to set up a consultation.